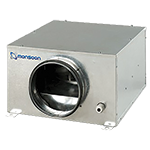 The Monsoon MACF range of fans are specifically designed to have long throw and move air efficiently to give a measure of control over temperature and humidity in commercial and industrial buildings. 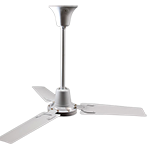 Monsoon Ceiling Sweep fans ideal for cooling in the summer and Energy conservation in the winter. 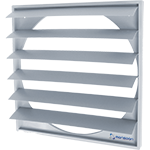 For use in mid-size or large rooms as well as reception halls, waiting halls, Restaurants, disco’s, boutiques, wholesale retail outlets, sports halls and industrial drying applications. 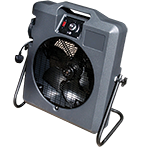 The Monsoon Breeze range of portable fans is the perfect solution for any cooling or ventilation application. Designed and built to withstand the demands of industrial and commercial use but stylish enough to suit formal events. 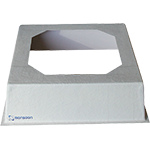 Manufactured in white glass reinforced plastic with a smooth internal surface, Monsoon purlin boxes are lightweight, corrosion resistant and thermally efficient. In order to allow complete freedom in the choice of roofing applications for Monsoon roof terminals, an extensive range of purpose made Glass fibre roof soaker sheets are available. 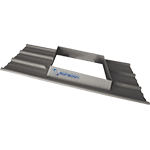 Manufactured incorporating maintenance free, UV stabilised fire retardant glass reinforced plastic in virtually any colour, Monsoon roof terminals represent the very latest in roof ventilator Manufacturing design. 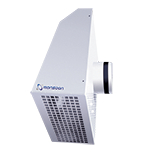 A non-corresive IP65 rated Radon Fan. 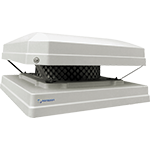 The fan casing is made of galvanized steel sheet and provided with heat and sound insulating material. 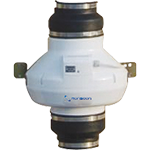 This unit is fitted with motor ball bearings with selective lubricating oil ensure low-noise and maintenance free fan operation. 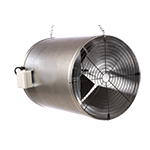 Metal Cased External Centrifugal fans are Ideal for applications where it is vital that the noise levels are at an absolute minimum e.g. recording studios or medical consulting rooms. However, they are also commonly used in domestic kitchens.